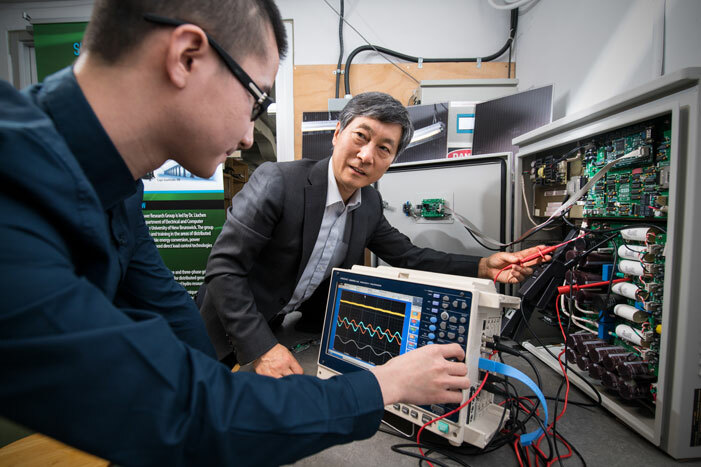 Emera Inc. is investing $6.2 million in the University of New Brunswick (UNB) to establish the Emera & NB Power Research Centre for Smart Grid Technologies. "Smart grid is the future of electrical power distribution,” says UNB's President and Vice-Chancellor, Dr. Eddy Campbell. “This is a compelling example of a strong academic-industry partnership that will fuel innovation and growth in the economy. We are grateful for Emera's leadership and contribution to advancing research in this area." Emera Inc. is a geographically diverse energy and services company headquartered in Halifax, Nova Scotia with approximately $28 billion in assets and 2015 pro-forma revenues of $6.3 billion. The company invests in electricity generation, transmission and distribution, gas transmission and distribution, and utility energy services with a strategic focus on transformation from high carbon to low carbon energy sources. Emera has investments throughout North America, and in four Caribbean countries. Emera continues to target having 75-85% of its adjusted earnings come from rate-regulated businesses. Emera's common and preferred shares are listed on the Toronto Stock Exchange and trade respectively under the symbol EMA, EMA.PR.A, EMA.PR.B, EMA.PR.C, EMA.PR.E, and EMA.PR.F. Depositary receipts representing common shares of Emera are listed on the Barbados Stock Exchange under the symbol EMABDR. Additional Information can be accessed at emera.com or at sedar.com.